The “fight” between science and faith is not new. We are thankful for scientific advances that improve life and answer questions about our physical world. Yet science does not hold all the answers and can lead people far afield as they pursue “truth” and a measure of contentment. Faith and Science in a Skeptical Age was written to help Christians respond to a world focused on using science to find answers to life’s mysteries. The book explores topics such as angels, miracles, cloning, and much more. The following excerpt is from the section on heaven and hell. Examples like these are commonplace among religious people and even among Christians. Some misconceptions about the heavenly life are quite harmless, but others can be damaging to the faith. The Bible reveals all we need to know about heaven and urges us not to be deceived by human thoughts and imagination. We have all heard it: “We’re all heading for the same place.” Like three golfers who tee off together, one goes left, one goes right, one goes down the middle of the fairway, but all end up on the green. “If ‘God is love’ ” (1 John 4:16), the thinking goes, “He must accept all of His creatures into heaven.” This wishful thinking forgets about God and disagrees with God’s plan of salvation. God is love, but He is also holy and just. His plan is that only those who receive His love in Christ will be saved (John 3:16–18; 1 John 3:4–10). Unfortunately, even some Christians are swayed by the opinion that a loving God will not send sinners to a fiery hell. This view of Scripture and of Christ is inherently one-sided and inconsistent with the whole of the teachings of the Bible and of Christ Himself. While there is one God, and we know that He loves all people, Scripture often speaks of pairs: believers and unbelievers, just and unjust, sheep and goats, angels and demons, God and Satan, heaven and hell. The division between heaven-bound and hell-bound people is not always clear to us in this life. When will the division be clearly seen by all? Matthew 25:34–46 indicates that we will be able to distinguish believers from unbelievers only when Christ returns on Judgment Day. At that time, He will clearly divide the righteous and the wicked from one another. He will base His judgment on each person’s faith, which produces the righteous or unrighteous works described here. Note the description of the righteous: they are blessed by the Father with genuine faith (Matthew 16:16–17). In view of faith, they produced genuine good works. Good works were a consequence of faith, not the other way around. Without faith, unbelievers, then, produced no good works at all. Many who realize that heaven is not for everyone fall into another trap—the belief that one earns heaven by being good. They mean those who are morally “good enough” but perhaps not perfect. Weighing the good against the bad, some will make the grade while others will not. This seemingly reasonable thinking is wrong. No one is good enough to earn heaven (Romans 3:22–24). Everyone breaks God’s Law (James 2:10). Paul explains that our righteousness, our right relationship with God, comes only through faith in His Son, Jesus Christ. James explains that breaking one commandment shatters the entire Law. This is similar to throwing a rock against one part of a window but shattering the entire thing. Paul and James both teach that we are saved by grace through faith, which results in good works (see Ephesians 2:8–10). The curse of this belief is that the person who believes it must live with constant uncertainty: What is “good enough” to get to heaven? Martin Luther languished under this cloud of doubt and fear until he discovered the liberating Gospel of Christ. How does anyone become good enough for heaven? Read Ephesians 2:8–9 and Romans 3:22–24. We are good enough for heaven only by God’s mercy. God declares us righteous through faith in Jesus Christ, who paid the price for our sins, freeing us from the curse of condemnation and doubt. What happens to the Gospel of Christ when we try to work our way into heaven? Galatians 1:6–7 says that if we reject God’s Gospel of salvation in Jesus Christ alone, we have no Gospel at all and remain under the curse of the Law. Some who wish to discredit Christian belief in a real heaven assert a different heaven-related belief. Denying that there is any afterlife, and realizing that good and evil should in some way be rewarded or punished, they theorize that we must create our own heaven or hell on earth. Christians do experience a foretaste of heaven in their earthly life, but it is no substitute for the eternal life promised in the Bible. Space travel and powerful telescopes have not yet located a physical heaven “out there.” From this, some have concluded that heaven must be merely a “condition” or state of mind. To be sure, mysteries remain. Our resurrected and glorified bodies will be “spiritual” bodies like the body of the risen Christ. What kind of location does a spiritual body require? And where is this heaven located? The Scriptures speak of heaven as being “up.” For example, Jesus ascended into heaven and will come down from heaven when He returns. Beyond that, heaven’s location must remain a mystery. Not infrequently when a loved one has died and is missing an important event, we hear it said that the deceased “is here” or “is smiling down on us today.” This view of the dead having intimate knowledge of every affair on earth may arise out of wishful thinking or sentimentality, but God’s Word does not support such a view. Ecclesiastes 9:5 and Isaiah 63:16 say that a dead person has no knowledge of things on earth. On the other hand, Scripture does indicate that the martyrs in heaven do have some sense of what is happening on earth, or at least what happened while they were alive, and that the souls of the dead do express concern over the living (see Revelation 6:9–10; Luke 16:27–28). God could, of course, give saints in heaven a special vision of pleasant things on earth. Jesus once related an illustrative story to emphasize that we should not expect communication between heaven and earth. In Luke 16:19–31, a rich man in hell requested that a messenger be sent to his brothers on earth, but the Lord did not fulfill his request. God communicates to us through His revealed Word, which contains all we need to know now. Any claims that God communicates with individuals in other ways must be judged on the basis of what the written Word tells us. 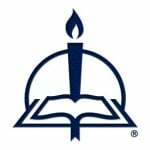 Luke 16:29–31 points to Moses and the prophets (i.e., Scripture) as the way heaven communicates with us earthlings, but the Bible says little about what people in heaven may know about intimate, earthly affairs. Ecclesiastes 9:5 and Isaiah 63:16 seem to indicate that the souls of the dead do not possess omniscience—knowledge of all things—which is a divine attribute. However, Revelation 6:9–10 and Luke 16:27–28 suggest that they may have some knowledge as to events and behaviors on earth. You may have seen cartoons where people in heaven have sprouted wings and are lounging on puffy clouds. Or perhaps you have viewed the classic movie It’s a Wonderful Life, in which the bungling angel Clarence struggles to earn his wings. Many believe that we become angels upon entering heaven. One cult claiming the name Christian goes even further. They teach that in heaven we can become gods. How absurd! Even becoming angels goes beyond what the Scriptures say. Angels are special creatures of God whose purpose is to serve His redeemed people. But in light of our discussion of angels in a previous chapter, would becoming an angel be a promotion or a demotion? According to Romans 8:17, Christians in heaven have a unique title and position. Believers are “fellow heirs with Christ,” inheriting with Him everything that belongs to God. For a human being, becoming an angel would be a demotion. Angels are only messengers, while believers are sons and daughters of God. In fact, the angels long to understand the promise of salvation for us in Christ (1 Peter 1:12). The divine Son of God assumed not angelic nature, but human nature —a real human body and a rational human soul. We will, though, have opportunities to participate in some activities with angels when we are in heaven (see Revelation 5:11–14). Although we will never be angels, we will be close to God with everlasting innocence, righteousness, and blessedness, and we will continually praise and worship Him in heaven. The notion that St. Peter is the gatekeeper of heaven, admitting or rejecting applicants, often comes up in jokes or cartoons. But this teaching is misleading and damaging to some. In Revelation, the Bible describes twelve “pearly gates,” not one gate. Twelve angels stand at these gates (Revelation 21:12–13). Peter, as spokesman for all the disciples, is given the “keys of the kingdom” (Matthew 16:19). Some have concluded from this that Peter would control the “pearly gates.” The Bible explains elsewhere that the power to “open” heaven for others—the forgiveness of sins through the Gospel—is given to the whole Church and exercised through the pastoral office (see Matthew 18:18; John 20:21–23). Who decides which people enter heaven and which will not? Jesus Himself decides who enters heaven (Matthew 25:34; Revelation 20:11–12). The “gatekeeper” is the door Himself, Jesus Christ. He is the only way to the Father (John 14:6).The manner of our entry into heaven does not seem important in the Bible. Neither is Peter responsible for our salvation. Our focus should always be on Him who is King of kings and Lord of lords. As a student of God’s Word, you should be able to sort out the truths and the untruths about heaven. Not all speculations about life in heaven undermine our saving faith, but even the “harmless” ones can detract from or trivialize what the Scriptures actually teach. They should not be encouraged. The most damaging misconceptions are those that do not recognize Jesus as the only way to the Father and the glories of heaven. Don’t be deceived by those high-sounding philosophies that “all religions are good” and “we’re all heading for the same place.” Stay grounded in the biblical truth that, though Christ died for all, heaven is for those who know Him as the one who rescued them from sin, death, and hell by His death and resurrection. Our ideas of heaven are no substitute for God’s plans, so let’s be careful about what we do and do not know from Scripture. Those who belong to Christ will be joyously surprised and more than satisfied when they get there! From Faith and Science in a Skeptical Age, pages 164–68 © 2014 Concordia Publishing House. All rights reserved. 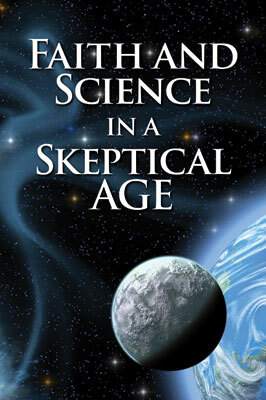 To order Faith and Science in a Skeptical Age, please contact CPH at 800-325-3040 or visit www.cph.org. To explore specific aspects of the intersection between faith and science, CPH offers the Faith on the Edge series. These six 6-session Bible studies explore science, technology, and spirituality in our postmodern society.